Let Simmons keep your commercial business or office Heating and Air Conditioning systems operating at maximum efficiency. 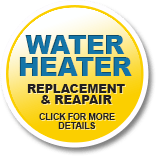 Our highly-skilled and licensed technicians will install and maintain all of your plumbing, heating, ventilation and air conditioning equipment. Please contact us today to see how we can improve your systems and help your budget! Click here for our list of manufacturers. Simmons Plumbing & Heating has over 3 decades of experience in HVAC design, installation, and maintenance. We can expertly handle all kinds of HVAC and plumbing works in commercial properties and public facilities. Our seasoned HVAC technicians and plumbers are licensed, properly trained, and updated on the latest developments in the HVAC industry. 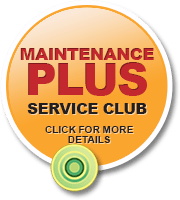 Don't fret if your business has an older heating or cooling system since we can also handle its maintenance needs. You can hire us to perform upgrades on your current HVAC system, no matter the age. We will replace old units or install new components to make your system become energy-efficient and reliable. We may also suggest improving your system's design to maximize its efficiency and coverage. These are some of the options that we typically recommend when you opt for our comprehensive commercial HVAC and plumbing services. 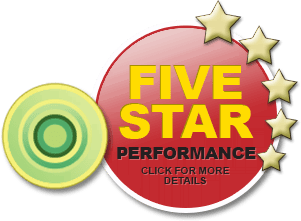 As a top-rated commercial HVAC & plumbing service company in New Hampshire, our clients are guaranteed outstanding workmanship and top-quality products. We use our expertise and extensive experience in the industry to ensure the satisfaction of each commercial client we serve. We don't just perform installation or maintenance tasks but also offer efficient and working solutions to our clients. This kind of service has helped us become one of the most sought-after HVAC service providers in the region. In fact, a lot of business owners from Massachusetts and Maine also hire us for their HVAC and plumbing needs. We also offer 24/7 emergency service to help commercial clients avoid business disruptions. Stalled business operations may result in huge profit loss and customer complaints, so we act fast on every service call that we receive. At Simmons Plumbing & Heating, we always aim for the complete satisfaction of our clients regardless of the scope or nature of the project. We send only our best people to do the installation, repair, or routine maintenance work. They are also equipped with the right tools, so you are assured of excellently installed HVAC systems. Repairs and maintenance works are also performed promptly and efficiently. If you need more information about our commercial HVAC and plumbing services, please call 1-800-929-833 now. Click here for our list of manufacturers.